If this applies to you, then you may have been among the thousands of people who had the pleasure of going through the grueling and exhausting process of applying to medical school. The deadline for the Ontario Medical School Application Service (OMSAS) application passed only a couple of weeks ago on October 2. I can only imagine all of the scrambling that must have happened as the deadline approached. The deadline last year was October 1, so I’m guessing they gave an extra day this year just for the procrastinators. Don’t take that to mean that some people are submitting their application at the last moment just because of laziness or a lack of organization. The OMSAS application is no joke. But it goes beyond simply sending in your transcripts to medical schools along with a letter about why you want to be a doctor. In fact, it can take years of planning, hard work, and dedication. The application really starts when you have decided you want to be a doctor. From that point on, you have to study hard to get a high GPA, prepare for and write the MCAT — and rewrite the MCAT — enlist yourself in a variety of volunteer, extracurricular, and research activities, and ask for letters of recommendation. Actually writing and filling out the application can be quite challenging as well. It starts off with simple personal information questions like your date of birth, citizenship status, and where you lived while attending high school. Though they may have been trying to ease us into the application with these early questions, it made me uneasy when I applied that where I lived during my high school years wasn’t going to give me an advantage. The Schulich School of Medicine & Dentistry gives preference to southwestern Ontario applicants and the Northern Ontario School of Medicine gives preference to applicants from rural northern Ontario. Unfortunately, I was from neither of those areas. Next, the application asks for a detailed autobiographical sketch. This is where you tell your life story and explain every activity you’ve done since you were 16. They have several categories for you to select from, including Formal Education, Employment, Volunteering, Extracurricular, Research, Awards, and Other. If you’re particularly lacking experience in one of these categories, you may feel your heart sink. Mine sure did. You’ll have the pleasure of describing each activity in greater detail, but with only 150 characters, which is less than the number of characters in this sentence. This can be difficult when you have to give the admissions committee a better understanding of what you did and what your role was, and at the same time explain how you demonstrated the attributes and personal characteristics they look for in future doctors. It doesn’t stop there — you’ll have to find a verifier for every activity. The application asks for the verifier’s name, address, and phone number. For one of the activities I had listed, I remember that the only verifier I could ask was a girl I didn’t know too well. I felt like a bit of a creep asking her for her address and phone number, but thankfully, she was very nice about it. Once you’ve finished filling out that behemoth, there will be essays to write. The University of Toronto Faculty of Medicine will be the school asking these remarkably tough essay questions. You’ll be asked to demonstrate that you are a scholar, professional, communicator or collaborator, and advocate — these are the four clusters that medical schools look for. When it comes to transcripts, even though you’ll be submitting them, you’re still required to manually enter into the application every course code and each grade you received during university. After finally submitting the application, you can take a breath of relief — sort of. Depending on the schools you apply to, you might also have to write the CASPer test in about a month’s time. Then, of course, there are the interviews, but I’ll leave that for another time. I personally know and have seen many people who are now in medical school face numerous rejections, rewrite the MCAT, take a fifth year to boost their GPA, and the like. They all eventually succeeded, so don’t be discouraged if you don’t get in on your first attempt. Good luck. Medical school. For many undergrads at universities across Canada, these two words effectively summarize their greatest aspiration, while also striking fear into many of their hearts. 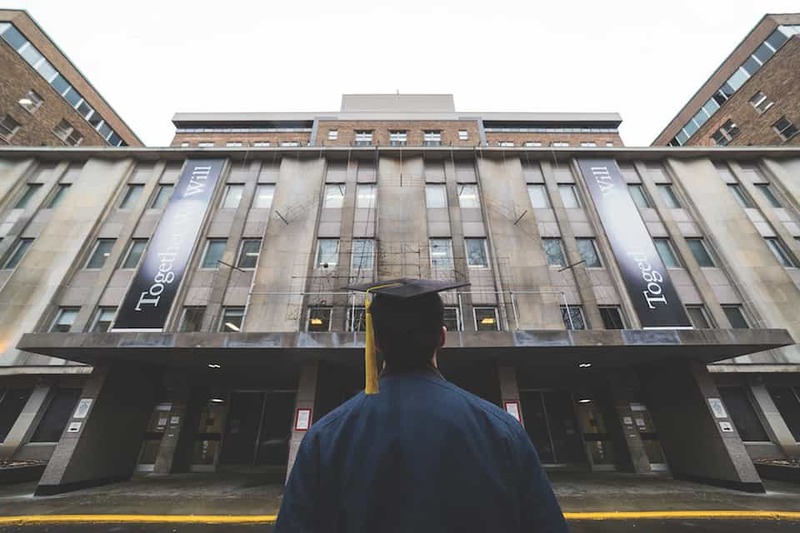 For a student looking to pursue a career in medicine, choosing a university for an undergraduate degree is often one of the hardest decisions to make. It is difficult enough to figure out finances, moving away from home, new friends, and university rankings, but students who want to get into medical school are faced with many other daunting choices as well. They are torn between choosing a school that is ‘prestigious’ according to rankings, and choosing a school where it is possible to achieve a high GPA. Unfortunately, it seems that few universities offer both options for students. This is surprising because many undergraduate students avoid universities with reputations for making hard to earn high GPAs; many believe a high GPA is the key to medical school admission. According to Maclean’s, “some [students] swear that the University of Toronto’s life sciences is so hard, it should be avoided at all costs – but little data to back up the rumours.” The survey found that U of T sent the second highest number of students to medical school with a total of 149, behind only McMaster, which sent 168. Universities with GPA-friendly reputations, such as Mount Allison and Acadia — which are smaller — only saw a combined total of 24 undergraduates continue on to medical school. When discussing science, it is important to note that correlation does not imply causation: it is possible that students from schools like Mount Allison and Acadia do not apply to medical school as often as students from U of T or McMaster. The schools’ populations too, are considerably smaller; it is only logical that fewer students from these schools will be represented at medical schools. Considering how dramatic some students make choosing your undergrad, it seems that this spread suggests something further. There are a few conclusions one could draw here: though schools like U of T and McMaster may have tougher reputations than schools like Brock or Acadia, medical schools are aware of this fact and consider applications accordingly. Alternatively, schools like U of T prioritize their own undergraduates for admission into U of T medical school over other students, or medical schools in general do not consider GPA as heavily as suggested. There is, of course, no correct answer — or at least not one with which any medical school will explicitly agree. The medical admissions process remains as elusive as ever. U of T’s Faculty of Medicine was unable to comment on the subject. If you ask a current U of T life sciences student aspiring to obtain a career in medicine — like myself — the answer would be to ignore all the rumours. Yes, U of T may be difficult and perhaps it is tougher than other schools. But if it offers the program in which a student is interested, is in a city in which he or she wants to study, and offers extracurricular opportunities that excites them, I see no good reason not to choose to come here or McMaster, McGill, etc. Your GPA is a only a component of your med school application. According to Dr. Marc Morneau of the Faculty of Medicine at the University of Alberta, the weighted importance of your grades in your application is about 30 per cent. That leaves the majority of your application, a whole 70 per cent, weighted for your extracurriculars, essays, and interview. offered much more focused medical science type courses compared to doing general life science at McMaster, which would’ve been my second choice.” While she admits thinking about her GPA may have played some factor in her undergrad applications, it was not the ultimate deciding factor. The aspiring medical student can spend a lot of time worrying. What to study, where to study it, and all the extracurricular activities to get involved with all influence student life. It may, however, ultimately be more productive to take a step back and think about what subjects and what universities interest and excite you.